It is the summer of 1940, and Lisbon, Portugal, is the only neutral port left in Europe-a city filled with spies, crowned heads, and refugees of every nationality, tipping back absinthe to while away the time until their escape. Awaiting safe passage to New York on the SS Manhattan, two couples meet: Pete and Julia Winters, expatriate Americans fleeing their sedate life in Paris; and Edward and Iris Freleng, sophisticated, independently wealthy, bohemian, and beset by the social and sexual anxieties of their class. As Portugal's neutrality, and the world's future, hang in the balance, the hidden threads in the lives of these four characters-Julia's status as a Jew, Pete and Edward's improbable affair, Iris's increasingly desperate efforts to save her tenuous marriage-begin to come loose. This journey will change their lives irrevocably, as Europe sinks into war. Gorgeously written, sexually and politically charged, David Leavitt's long-awaited new novel is an extraordinary work. 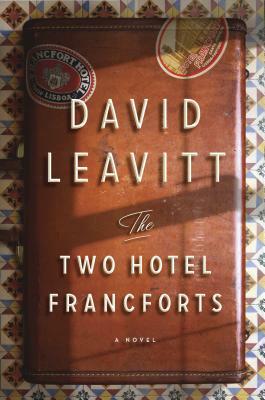 David Leavitt's fiction has been a finalist for the PEN/Faulkner Prize, the National Book Critics' Circle Award and the LA Times Fiction Prize, and shortlisted for the IMPAC Dublin Award. His writing has appeared in the New Yorker, the New York Times, Harper's and Vogue, among other publications. He lives in Gainesville, Florida, where he is Professor of English at the University of Florida and edits the literary magazine Subtropics.